Long-term use of a class of drugs that suppress stomach acid is associated with an increased risk of hospitalization for cystic fibrosis patients, who are widely prescribed the medications, according to a recent study by University of Florida Health researchers. The study looked at a class of acid-suppressive drugs called proton pump inhibitors, which are used to treat reflux, heartburn, ulcers and other conditions. In looking at the medical history of 114 patients seen in the UF Adult Cystic Fibrosis Center during 2016, the study found patients using PPIs long term were more often hospitalized for complications of the disease than patients not on the drugs. The study found the mean annual number of hospitalizations was 1.4, compared with 0.9 for non-PPI users, a statistically significant difference for researchers. This research underlines the need for physicians to more closely evaluate whether a cystic fibrosis patient can benefit from the acid-suppressant drugs or if other alternatives might be available, said Jorge Lascano, M.D., the director of the UF Adult Cystic Fibrosis Center and the study’s senior author. The findings were presented at the recent North Central Florida Cystic Fibrosis Conference, which was hosted by the center. Cystic fibrosis is an inherited disease that causes thick, sticky mucus to build up in the lungs, digestive tract and other areas of the body. About 30,000 Americans have the disease. 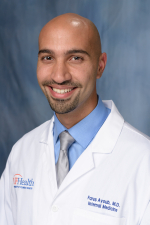 The study’s lead author, Fares Ayoub, M.D., a second-year internal medicine resident in the UF College of Medicine’s department of medicine, said many cystic fibrosis patients take a proton pump inhibitor because they are prone to acid reflux, a condition that can lead to additional lung problems. The effectiveness of proton pump inhibitors in cystic fibrosis patients and the general population have made them, under various brand names, among the nation’s top-selling medications. “It’s a very easy medication to prescribe,” Lascano, an assistant professor in the UF College of Medicine’s division of pulmonary, critical care and sleep medicine, said at the conference. In UF Health’s cystic fibrosis practice, he said, proton pump inhibitor use has been reduced by 25 percent. The practice, a major referral center for cystic fibrosis patients, has about 200 patients. The paper was published in the journal Gastroenterology Research. The study only examined cystic fibrosis patients. Other studies have associated small risks of complications with chronic proton pump inhibitor use in the general population, including increased risks for dementia and kidney disease. Ayoub said the drug is often the right medication for the patient. But physicians should also examine other methods of combating the stomach acidity causing reflux, he said. Might lifestyle changes or diet improve the condition? Those steps might include lifting the head of the bed up or not eating a few hours before sleep. Or patients might benefit from other medications, such as H2 blockers, which have fewer potential complications. In some cases, anti-reflux surgery might be appropriate, researchers said. Lascano said this study was a natural offshoot of the multidisciplinary approach the center takes in treating cystic fibrosis patients, combining the efforts of pulmonologists, gastroenterologists and other specialists. 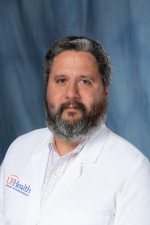 The paper also was co-authored by Giuseppe Morelli, M.D., an associate professor in the UF College of Medicine division of gastroenterology, hepatology and nutrition.